Happy Boxing Day! I love this day. I prefer this day to Christmas Day. Far less stressful! Which is why I’ve decided to do a mega quick & lazy review of The King’s Speech, which was one of only three movies I managed to watch for my IMDb Top 250 Project in 2018. I’m seriously slacking on that! (The other two were Citizen Kane & Metropolis, which I’ll review tomorrow). Okay – it looks like it was a weak year for films. Now I’m wondering what wasn’t nominated at all that may have been better than these (I’m too lazy to bother looking into that). I said I’d keep this short. The King’s Speech is a good film with fantastic performances. It’s one of those “one-time watch” movies, though. I’m glad I’ve seen it and I did actually enjoy it but I can’t imagine ever watching it again for any reason. It’s certainly weak compared to all the other Best Picture winners & nominees in the history of the Oscars. It’s certainly not the worst, though (I’m looking at you, The English F*%king Patient!). Since I’m a sad & pathetic list maniac, I did rank every Best Picture Oscar Winner I’ve seen HERE and I’ve now added The King’s Speech. It’s toward the bottom but I did enjoy it. I feel like I’m being too harsh on this one! It’s just not all-time classic “Best Picture” material. Or IMDb Top 250 material, which is why I think this has actually now dropped out of that list (I started this project in 2013 so I’m still working off the list from that time). 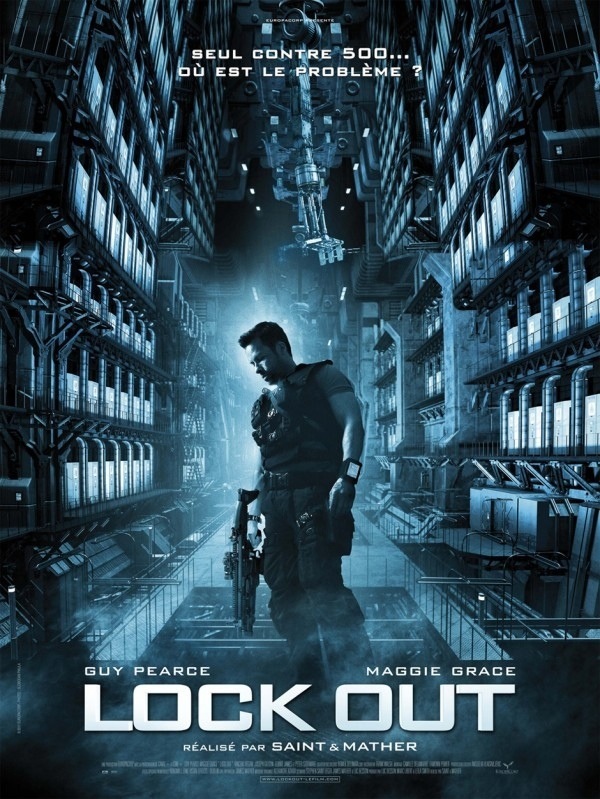 I chose to review 2012’s Lockout. Ugh. Not good….! You can read my review (rant) HERE. I like superhero movies a lot but overall I’m not the absolute biggest fan of them. So this review comes from someone who has never touched a comic book (well, I did read Watchmen – does that count?) and who knows ONLY what has been shown of all the superheroes in their Hollywood movies. The X-Men movies were probably the first superhero movies to make me geek-out a little. Actually… To be honest, I remember loving Tim Burton’s Batman and thinking Jack Nicholson was cool as hell as the Joker & I think I even bought some Joker earrings at the time (give me a break – I was in my early teens). Then things like (the Tobey Maguire) Spider-Mans came along (entertaining enough – not brilliant) and Fantastic Four (meh) and I was starting to get a little bored with the superhero thing. Then Batman Begins & The Dark Knight came along, re-inventing the genre & making truly stunning “films” instead of mere “comic book” movies. You had Iron Man the same year as The Dark Knight and I was loving the superhero thing again. 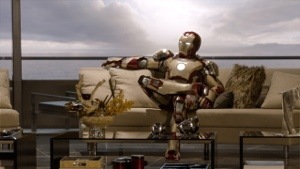 And although Batman Begins is a better “film”, I probably enjoyed the first Iron Man movie more. 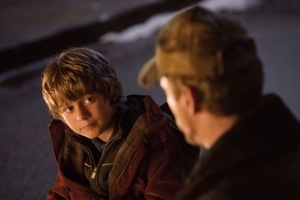 I was so pleasantly surprised by the first Iron Man. I loved that it was somewhere between the superhero movies that were a little too cheesy (Fantastic Four) and the very dark & serious Nolan Batman films. I loved Tony Stark’s charming arrogance & internal struggle (Ha! Well, yeah – all superheroes have that internal struggle thing I guess). My point is, I loved the first Iron Man & he’s definitely one of my favorite comic book characters as portrayed by Hollywood in the last ten years or so. So I’m a little disappointed to have to say that Iron Man 3 is a bit weak compared to the first two. 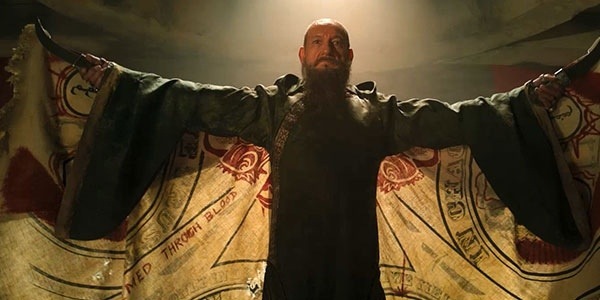 – Ben Kingsley. Loved him. Can’t go into it much but he’s great in this role. – Harley. Probably one of those things that will divide people but I liked this little sub-plot. – The focus on one superhero again. Yes, I know I’ve just contradicted what I said above. Having all the superheroes in The Avengers was exciting, so it’s hard to top that excitement. But I also found that to be slight overkill in The Avengers so it was kind of nice just having one superhero to focus on again. Which is why it’s a shame that this script was so weak on character development when they had the chance to fully focus on Tony Stark again (more on that below). – The Iron Man suits. And gadgets. Still cool. – It’s Iron Man and it’s still fun, even if it’s not as good of a film as the other two (especially the first one, which is by far the best). – Robert Downey Jr. Wait! Keep reading! I’m not saying he’s bad. Maybe I mean Tony Stark… Aside from a few panic attacks he’s suffering from due to the stress of what happened to him at the end of The Avengers, he doesn’t seem as “internally conflicted” as in the first two. That internal conflict thing is important in these superhero movies! I think this is the fault of the script for this one – he’s just not as well-developed as in the other two. But I suppose it’s perhaps hard to keep that up for three films (four including The Avengers). We all know Tony Stark by now. 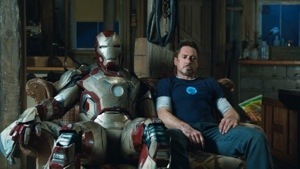 And, unfortunately, Robert Downey Jr seems a little bored in this one. The performance feels a bit “phoned in”. Sorry. He’s still better than…. – Guy Pearce. He didn’t really work for me in this role. Weak character overall, I think. – Maya. Not that the character was bad – the character was wasted. They could have done more with her. – Tony Stark/Pepper Potts relationship. Not feeling it so much in this one. Again, though, I think that’s the fault of a script that doesn’t give you very fully-realized characters this time around. – The plot. It’s a bit “so what”. Especially after The Avengers. Just not as “exciting” as a lot of other superhero movie plots. 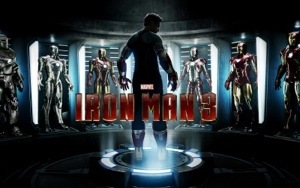 A popcorn-worthy addition to the Iron Man set of films but the script and plot feel a bit weak overall and the characters feel under-developed. It’s okay but not as strong as the first Iron Man & certainly not as fun or exciting as The Avengers. **I’ve been too harsh! Upped my Iron Man 2 & 3 ratings a bit. I still enjoy the Iron Man series – they’ve just been weak compared with the first one.